This fairly tall-growing scilla is also the one that's last to flower. 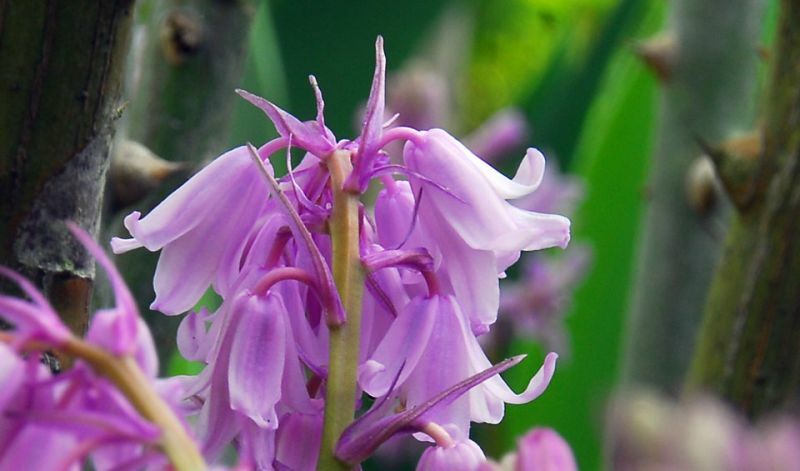 But you can expect lots and lots of broad, bell-shaped flowers hanging from its sturdy, round flower stalks. In the wild its color is violet-blue, but there are also large-flowering pink, white and blue varieties available. Plant in nutrient-rich, sufficiently moist soil as soon as possible after acquiring. 'Excelsior' (blue), 'Queen of the Pinks' (pink) and 'White City' (white). Also sold as mixed colours.